To make an appointment call us on 9404 1166 or book online. Vetwest Animal Hospital Canning Vale is located at 5/888 Nicholson Road, on the corner of Nicholson Road and Ranford Road, adjacent to Dan Murphy’s. There is ample free parking on site so you will be able to easily pop into the clinic with your pet for your appointment. We are proud to provide veterinary care for the areas of Canning Vale, Southern River, Jandakot, Harrisdale, Bull Creek, Willeton and other surrounding areas. 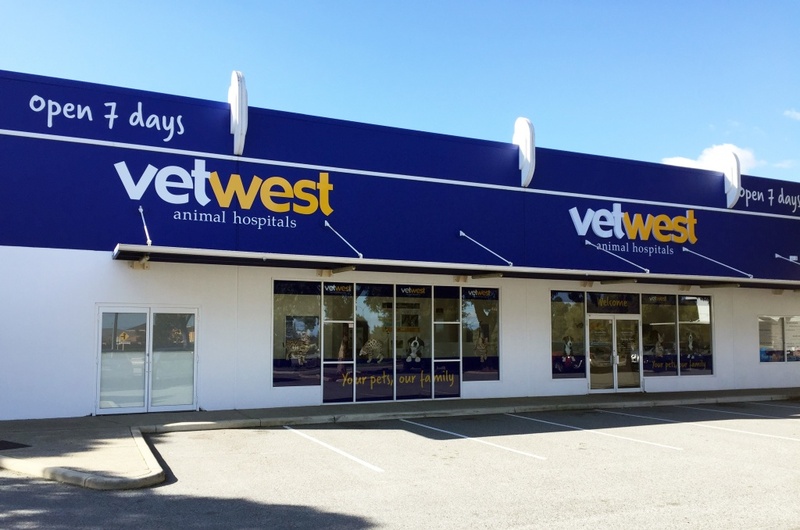 Vetwest Animals Hospitals has been treating and caring for the pets in Perth for over 25 years. We strive to provide the best service for you and highest standards of care for your pet. Vetwest Canning Vale has multiple consult rooms, a dedicated surgery theatre, a dog wash, and kennels for both small and large pets. Our waiting room has a separate area for cats which can help alleviate any stress they may feel before their appointment. Be sure to contact Vetwest Canning Vale for your next appointment, we're here when you need us.